It has taken us late six nights, but we have finally seen all 32 teams play. After what has been a great start to the World Cup in Brazil, here is a look at which teams have started well, and which have failed to impress. Here are the Top 5 Best and Worst Performances so far, with honourable mentions. 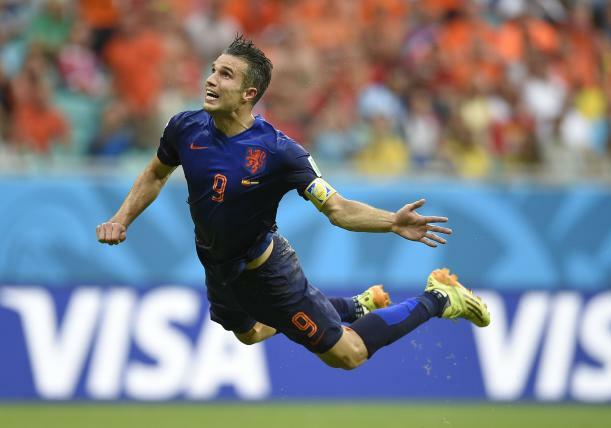 Netherlands (5-1 vs. Spain). After winning the last 3 major tournaments and being top of the Fifa World Rankings, Spain were bound to be amongst the favourites for the tournament. On the other hand, the Netherlands had taken a relatively inexperienced team to Brazil, and on the back of a group stage exit in Euro 2012, were underdogs not only in this game but to even escape their difficult group alongside Chile. However, exceptional performances from Robben, van Persie, Daley Blind and Villa’s Ron Vlaar amongst others, saw them run rampant. Germany (4-0 vs. Portugal) Like the Netherlands, Germany were facing their toughest group opponents in the opening game. Germany dominated Portugal even before Pepe ‘did a Pepe’. With two comfortable games left for Germany, they can look forward to the knockout stages and perhaps look to rest a few key midfielders. However, Hummels, who was comfortably second best player on the pitch vs. Portugal, is potentially out for a game or two. Luckily, Cristiano Ronaldo doesn’t play for the USA or Ghana. Bosnia and Herzegovina (1-2 vs. Argentina) One of the surprise performances of the tournament so far. Having dominated the Argentinian midfield and defending remarkably in stifling Messi, Aguero and Di Maria, Bosnia were somewhat unlucky to end up losing. They showed tremendous spirit at 2-0 down after Argentina’s formation change opened up the game, and with Nigeria and Iran involved in a drab 0-0, Bosnia should expect to qualify if players such as Lulic and Pjanic continue from where they left off in the Argentina game. Croatia (1-3 vs. Brazil) In a similar way to Bosnia, Croatia surprisingly dominated the favourites and hosts of the tournament, Brazil., for long periods. Modric was excellent, but with Mexico drawing against Brazil last night, Croatia may need a win to qualify. But based on their first performance, they might just have it in them, particularly with Mandzukic now back from suspension, who is sure to help Croatia be more clinical than they were against Brazil. Italy (2-1 vs. England) After witnessing Costa Rica’s shock 3-1 win over Uruguay, the winner of England vs. Italy could almost guarantee themselves a place in the last 16. Dominating England in the quarter final of Euro 2012, Italy again showed mental toughness and won the midfield battle, with Andrea Pirlo again sparkling. Italy have the highest pass success of 93.2%, of any side so far, and any team will find it difficult to get the ball off of Pirlo and co.
Chile For 15 minutes against Australia, Chile, and in particular Alexis Sanchez, were outstanding. Colombia Big things are expected of Colombia, and a 3-0 win against a team who kept 8 out of 10 clean sheets in qualification (Greece) is about as good a start as Colombian fans could have hoped for. France A routine win against Honduras with 71% possession (the highest so far of any team) was not surprising (despite France tending to be very inconsistent), but sets them in good stead. USA Incredible determination to beat Ghana after a late Ayew equiliser leaves Group G wide open. Costa Rica All England fans are grateful for beating Uruguay. Let’s hope we still are grateful in a week from now. England Perhaps bias is coming in here, but I thought England were excellent. After a diabolical World Cup in South Africa under Capello, and an uninspiring Euro 2012 which included the Pirlo masterclass mentioned above, England doubled their shot count (18 shots in 90 minutes vs. 9 in 120 minutes) compared with 2 years ago, and although clear defensive frailties are there for all to see, England have pace and creative threat all over the pitch – Raheem Sterling in particular was exceptional. The most surprising stat of all so far is that England have the third highest pass success rate of any side – almost unheard of for an England side to keep the ball against strong opposition! A much needed change is needed with regards to Rooney – two touches in the area for a 39 goal international striker is an issue that Hodgson needs to address for Thursday. But after witnessing Uruguay’s performance against Costa Rica, England fans should be more optimistic than they are currently. Spain (1-5 vs. Netherlands) 3 consecutive tournament wins, no goals conceded in the last 10 knockout games, and world number 1, Spain looked to have started well with an Alonso penalty. But with an ageing Casillas and Xavi and some diabolical defending, Spain now have a deciding game against Chile. While only 4 out of the last 46 teams who have lost their first game going on to get out of their group, Spain should be confident that the last team to do it went on to win the tournament. Portugal (0-4 vs. Germany) Portugal looked clueless. After relying on Ronaldo in the play-off double leg with Sweden, Paulo Bento doesn’t seem to have discussed options that don’t involve passing the ball to the World Player of the Year. A half-fit Ronaldo, who put in 100% effort despite being visibly frustrated, being Portugal’s sole chance of qualifying leaves the door open for USA after their win over Ghana. Uruguay (1-3 vs. Costa Rica) Uruguay are in trouble. Before the tournament, Costa Rica were expected (perhaps naively) to pick up 0 points, but the seeded team were poor in possession and created little (only 9 shots in total). With Luis Suarez fitness news unconvincing, it’ll take a big performance from Cavani and co. to beat England. Nigeria (0-0 vs. Iran) Nigeria needed to beat Iran to have a realistic chance of qualifying. But with only 10 shots despite 69% possession and being full of decent Premier League players, current African Cup of Nations winners Nigeria now come up against an in-form Bosnia and one of the favourites Argentina. Good luck! Japan (1-2 vs. Ivory Coast) Japan conceded the most shots per game (21) and also, despite being an attacking team under Zaccheroni, had the third fewest shots of all first round games (7). Unfortunately for Japan, Greece and Colombia are arguably better in defence than Ivory Coast. Honduras. 4 shots on goal all game. Fewest possession of any side in the first round. Honduras were unsurprisingly poor, and justified being the outsiders to win the tournament. Argentina. For the first half against Bosnia, they were outclassed. Argentina looked lethargic. However, a formation change from 5 at the back to 4 (why 3 CBs and a deep-lying Mascherano was felt necessary against just Dzeko, only Sabella knows) saw Messi unleashed behind a front 2, and much better things are now expected. This includes games after the first round of games. Aussies vs Dutch was in the second round of games.